Here you can download Vivo NEX Dual Display Stock Wallpapers in Full HD+ 1080×2340 pixels resolution quality. Before going to the wallpaper download, let’s take a look at the device specifications and features overview in brief. The Vivo NEX Dual Display Edition smartphone comes with the AMOLED panel on both sides. The handset was launch back in 2018 and comes with a 6.39-inch display with a resolution of 1080×2340 pixels, 19.5:9 aspect ratio. It’s powered by octa-core Qualcomm Snapdragon 845 SoC coupled with Adreno 630 GPU. The device is paired with 10GB of RAM and 128GB of onboard storage. In the camera department, the Vivo NEX Dual Display packs a 12MP primary camera and a 2MP secondary camera on the rear side. The Time of Flight (ToF) for depth perception and face unlock sensor also available as a third one. The device runs on Android 9.0 Pie based on Funtouch OS 4.5 version out-of-the-box. It’s packed with a 3,500 mAh battery with fast charging support. It features 4G dual-SIM, Wi-Fi 802.11 a/b/g/n/ac, Bluetooth 5.0 LE, GPS, USB Type-C port, and all the major sensors. It measures 157.19 x 75.30 x 8.09 and weighs 199 grams (approx). The devices don’t have any notch and feature a secondary panel of 5.49-inch Full HD AMOLED 16:9 aspect ratio display. The secondary display features Gorilla Glass protection with a resolution of 1080×1920 pixels. In the storage department, it doesn’t have any expandable storage option. The Vivo NEX Dual Display Edition smartphone features an in-display fingerprint scanner and Vivo Face Unlock in terms of the security or biometrics. The main cameras feature 4-axis OIS and PDAF technology along with depth and night mode as well. While there is no front camera on the device. It features an Aluminium frame and 2.5D curved glass on both sides of the display. The device looks a premium one and feels sturdy on hands. Another interesting feature is that the device has two power buttons on both sides for both displays. 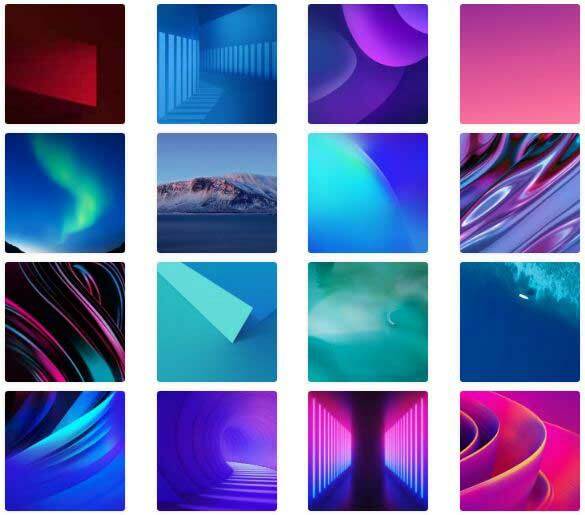 Now coming to the main topic, the Vivo NEX Dual Display Edition smartphone does have total 15 stock wallpapers. All the wallpapers come with 1080×2340 pixels resolution and 19.5:9 aspect ratio quality. All the 15 stock wallpapers look premium, minimal, abstractive, and suitable for AMOLED displays. 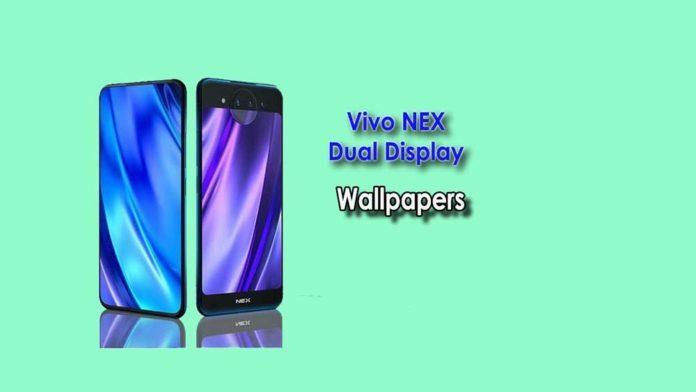 Now, you can download the Vivo NEX Dual Display Stock Wallpapers from the following link given below compressed in a (.zip) format. So, just download the file from here and extract it on your device via File Manager. Search for the wallpapers from device wallpaper settings or gallery app and set them on your screen (home or lock). Enjoy!